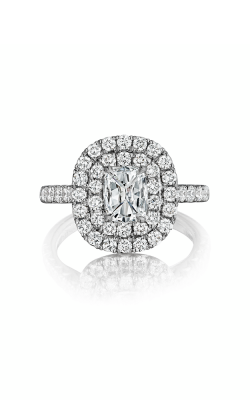 Founded in the diamond capitol of the world, Antwerp, Belgium, Henri Daussi has been creating some of the most stunning examples of engagement ring innovation, fashion, and style seen today. Made with only the most brilliant diamonds and gleaming precious metals, the extensive engagement ring collections of Henri Daussi are sure to have something for every bride. 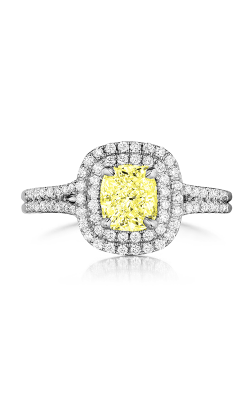 Featuring bright pave, halo, side stone, and solitaire style rings, available today at BENARI JEWELERS is an amazing selection of the newest, brightest, and most requested engagement rings that the skilled jewelry makers at Henri Daussi have to offer. 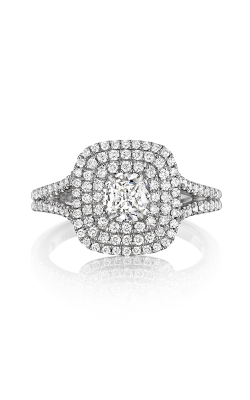 With over fifty years of fine jewelry experience, BENARI JEWELERS is proud to bring their Delaware Valley customers an array of exclusive and extraordinary Henri Daussi engagement ring collections. Further, as an authorized Henri Daussi retailer, the bridal team at BENARI JEWELERS has been specially trained to assist their customers with finding the perfect Henry Daussi engagement ring for brides of all ages, tastes, and individual fashion preferences. Popular Henri Daussi engagement rings available now at BENARI JEWELERS include the vintage-inspired pieces that make up the legendary Daussi Cushion collection, in addition to the effortlessly elegant and sophisticated pieces of the Daussi Brilliant collection. With two locations in Exton and Newtown Square, Pennsylvania, BENARI JEWELERS is the premiere destination to find an unbeatable selection of engagement rings, wedding bands, watches, and fine fashion jewelry from some of today's top designers such as Henri Daussi, A. Jaffe, Tacori, Rolex, and many more. Committed to their customers, the friendly and experienced staff at BENARI JEWELERS is more than pleased to bring customers in the greater Philadelphia, West Chester, Malvern, King of Prussia, and Downingtown areas with an unparalleled level of customer service and selection. As a part of this commitment, BENARI JEWELERS offers jewelry and timepiece repair services, a diamond and gold buying program, as well as a 30-day satisfaction guarantee.